Smallflower buttercup may resemble a wild violet in its early growth, but later in the life cycle it produces upright stems that are slender and branch from the base of the plant. 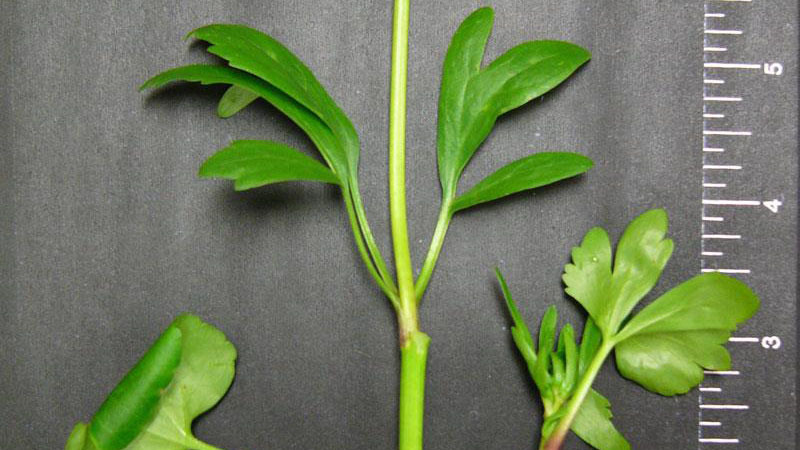 Lower leaves are dark green and rounded, while upper leaves are a brighter green and elongate with occasional lobes. 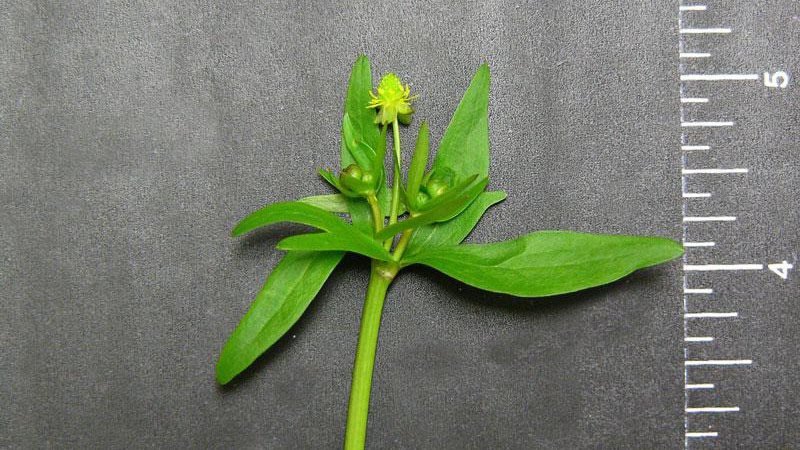 Flowers, which appear from April to August, are tiny and yellow with five petals. The plant can grow to heights of 6 - 24 inches. 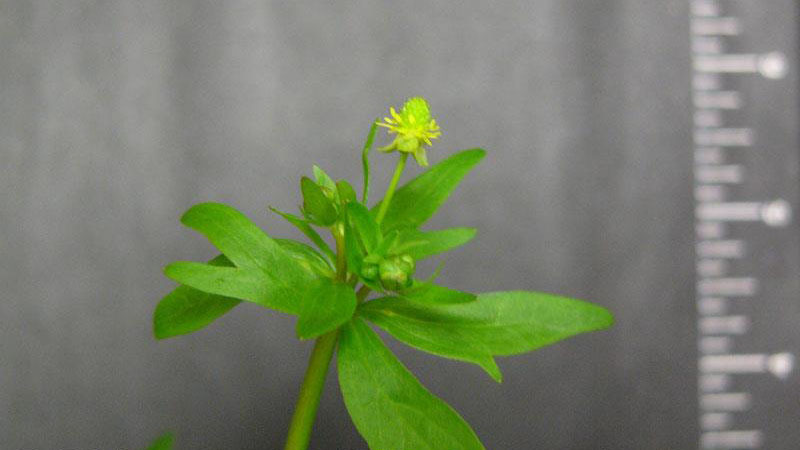 Smallflower buttercup reproduces by seed. 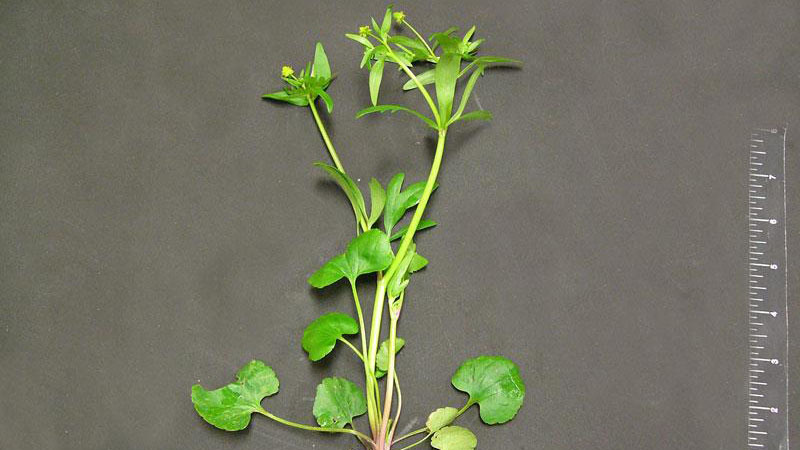 This weed grows in both dry and moist environments and is commonly found in fields, waste areas, and wooded habitats. 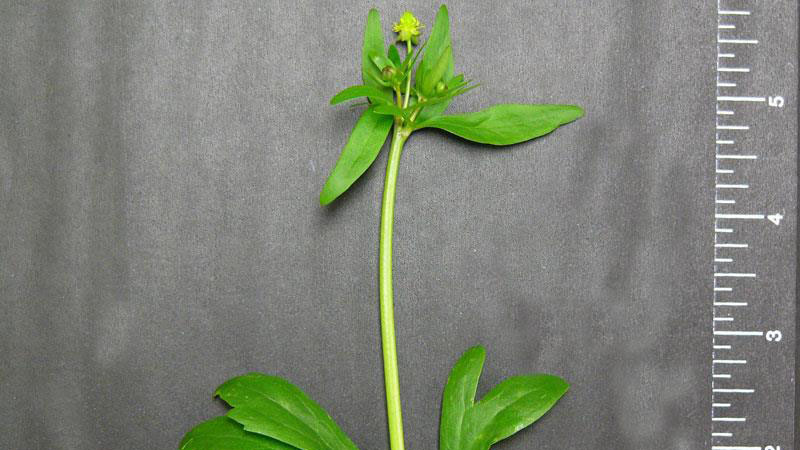 It can be distinguished from hairy buttercup by the lack of hairs on its leaves. In addition, hairy and bulbous buttercup have lobed leaves, whereas most of the lower leaves of smallflower buttercup are unlobed. Figure 1. Smallflower buttercup growth habit. Figure 2. Smallflower buttercup leaf margin. Figure 3. Smallflower buttercup leaf arrangement. Figure 4. Smallflower buttercup leaf arrangement. Figure 5. Smallflower buttercup leaf arrangement. Figure 6. Smallflower buttercup flower color.